As you probably already know that buying bullion has always been considered as an optimal way to diversify one’s investment portfolio and this is due to the fact that although prices of investment metal may go down, it eventually goes up. However, have you asked yourself this question, if the prices of precious metals are certain to rise, then why do investors still lose money when they buy bullion? The answer lies in ‘time’ and price. Sometimes it is not about simply buying and owning bullion or bullion related stocks, it is also dependent on when you buy it, how much you bought it for and how long can you hold on to it. For instance those who bought bullion in when gold prices were at record highs (1800 per ounce) are actually still holding on to their bullion due to the fact that they bought these investments at a relatively high price, with the hopes of it going higher, however as the economies of the world stabilised, the prices of gold started sliding and those who cut losses at an early stage were few as a majority of them held on, thinking that the prices of gold will rise again, it will, but not just yet. Recently, when Greece defaulted in its payments and the sudden drag on the Chinese economies also caused a buying spree on the precious metal market platform, this was due to the fact that many investors thought that these economic and financial turmoil would cause the prices of bullion to rally, they were wrong and those who purchased the precious metal a month ago and still jotting down losses in their balances. The common perception is that the moment there is economic turmoil, prices of gold would rise as investors lose faith in the financial systems, this assumption is not only dead wrong, but it is also totally illogical. The point of investing is to make profits and thus unless there is a significant or sufficient evidence that the financial system is in grave trouble, most seasoned investors will hold on to their stock and not switch focus. What is the point of letting a good investment go only because Greece is in trouble? In fact the prices of gold fluctuated even further due to the lowered interest rates that made capital markets more appealing than the precious metal market. 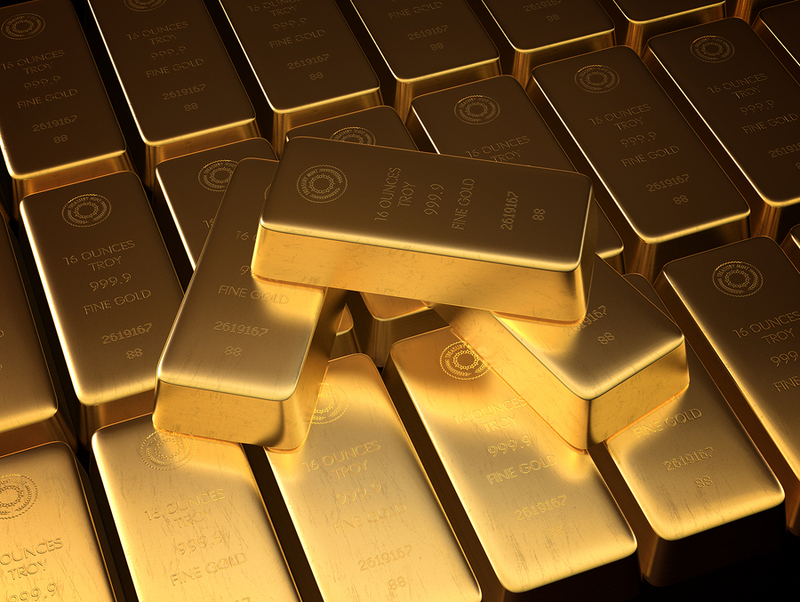 In order to reap profits out of bullion, novice investors should be aware of a few key facts; gold related investments are marred by a complex system that could affect investments drastically indirectly. A simple example of this scenario would be stocks related to mining companies, although the prices of gold increase which is good for the mining company, the company itself might be faced with issues such as low output and increased costs. Thus the best way to invest in bullion and maintain a positive balance is to buy the bullion physically and keep it in a manner that it becomes accessible to you at any time you want to sell it, keeping bullions with vault operators also increases cost and to make matters worse, most gold traders only offer prices that are slightly below market prices (most of them only sell at market prices, but usually buy bullion at an average of 5 % below the market rates. This means that you would only be able to make a profit after you factors the costs that you will incur not only when you buy bullion but also when you sell bullion. Ensuring that the buyers are transparent when conducting business is an essential factor, which means, that if you are planning to invest in gold, then it would be wise that you start looking for gold buyers and have a discussion with them prior to your purchase. 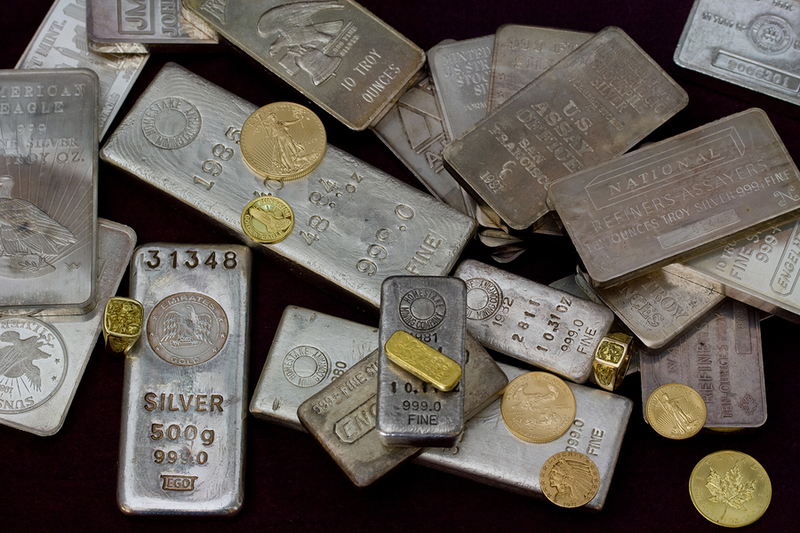 Unlike gold bullion, traders that buy and sell silver bullion play an entirely different game in the precious metal markets due to the fact that the ‘preferred’ precious metal is gold, this creates a ‘bend’ in the decision making process of investors as the appeal of profits have to be significant enough in order for investors to actually allocate resources for silver or silver related investments. To start off with, the silver market is much smaller than the gold market and the demand for gold has always been much higher in comparison to silver. The prices of silver that is on average 20 dollars an ounce makes the total market net worth of its market relatively tiny, for example the total amount of silver that was mined in 2012 was about 800 million ounces with an estimate market value of 16 billion dollars, whereas the total amount of gold mined for that same year was 80 million ounces with an estimated market value of over 100 billion. Another factor that plays against silver is storage; silver storage requires much more space than that required for gold buyers, which raises the cost of the already lower priced precious metal. Although both gold and silver have been considered as money for eons, central banks do not hold gold reserves as they do silver. One factor that plays out in favour of the silver market is however the fact that since close to 20 % of the world’s total gold is held by central banks, these banks have a significant amount of influence or leverage over the direction of the prices that gold prices move in, especially in relation with the attractiveness of the dollar and fiscal policies that are dished out by major economies that determine or influence the decision making process that investors are subjected to when establishing their portfolios. Another fact worth noting is the fact that the smaller silver market causes the prices of silver to be much more volatile in comparison to gold and thus when prices of gold increase, the prices of silver increases much faster and higher in ratio and the opposite is observed when prices of gold drop. In order to understand this concept better, imagine a small sail boat and a big tanker at sea and the waves considered as the market forces, even the slightest wind causing small waves would have an effect on the sail boat but leaving the tanker relatively status quo. In comparison, both gold and silver are good investments and the usual question asked by most novice investors trying their hand at the precious metal market for the first time is “which of the two is a better investment?” , the answer depends on the objective of the investor, if the investor is looking for long term investments then both gold and silver are actually good investments, however, if the investor is looking for quick turnarounds via ‘short sells’ then it would be silver, if the investor is planning to make significant gains in the long run, then it would be gold. 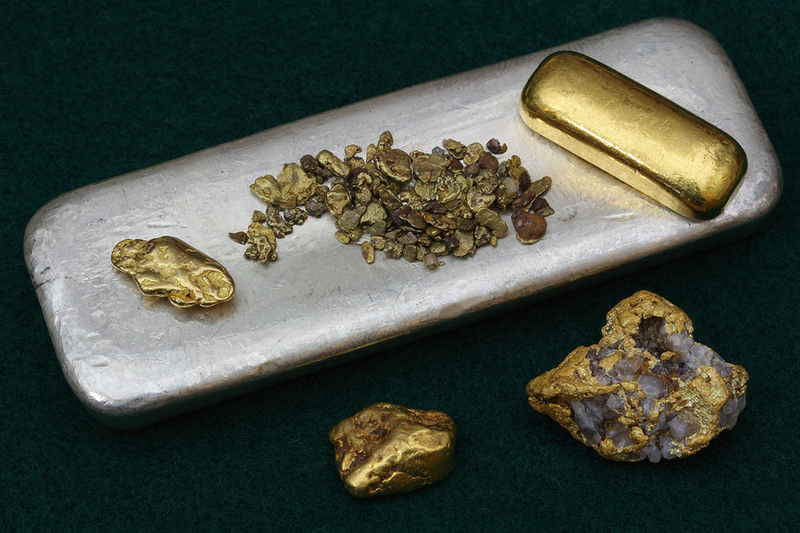 However, here is a point that everybody should wrap their heads around, The reason for silver being cheaper than gold is due to the fact that it is 16 x more abundant than gold, however, gold is almost certain to be recycled, whereas silver is tossed out and mostly buried in landfills. Thus, it is not too far-fetched to realize that silver will also become scarce eventually and according to geologists, silver would become the first metal to become ‘extinct’ from its natural environment. Now that you are aware of these facts, make sure you consider them the next time you buy or sell silver bullion. This article was kindly provided by Cash For Gold Melbourne, a Melbourne, Australia based Gold Buying Company. If you do not like shopping in retail stores , you can always shop online and get even better deals on many interesting products. The only difference is that you can do it online. You can do it from the convenience of your own home or any other place where you happen to use the Internet. A good idea is to use some online coupons while shopping . Why is it so important to use online coupon codes? You can save tons of money if you choose to use coupon codes while shopping online or offline. Using them every time you shop can allow you to save a lot of cash that is rather hard to come by these days. When you think about it, why would you pay more for something if you can pay less? Why overpay for something? Using coupon codes will help you to feel better about yourself, and feeling good about yourself is well good for you. And you should feel good about yourself all the time because it is a healthy thing to do so. Getting access to coupon codes should be easy as long as you know where to look for them. I never had problems finding coupon codes. You should not have any problems with doing it too. There are some websites on the Internet that will make the task of finding coupon codes a lot easier. You can find coupon codes for everything from restaurants, entertainment, groceries, and designer clothing like this American Eagle discount code. You can use coupon codes every time you decide to shop, not only during Christmas season. You can use them today or tomorrow, or the day after tomorrow. The only thing you need to remember about is to find as many coupon codes you can find before shopping. Sometimes, it is possible to use a few coupon codes at the same time. By doing so, you make sure that you can get all the items you want at the most affordable prices. Every person has their favorite place where they shop for musical instruments and accessories. When it comes to me, this store is musical store MF. i have spent a great many hours browsing their large selection of items and to be honest I am never tired of looking at what else I can get there at an affordable price. Feel free to do the same if you value music as much as I do. When you already have a mortgage or other debt to worry about, it’s hard to convince yourself or your spouse that it’s a good idea to take on another loan. However, if you know where to get your loan, you’ll enjoy a low interest rate and affordable monthly payments that make it worthwhile if you need the money for a good reason. Consider using the equity in your home to secure a loan to better your life. Whether for your child, grandchild or yourself, home loans put toward college tuition is using your property to invest in yourself or your family – and a better future for you all. Tuition is expensive and loans are typically capped. If you have to get a private loan to pay the rest of the tuition, a home equity loan typically has better interest and repayment terms. If things break down or you’ve always wanted to make your home closer to your dream home, you need cash to fix things up. Home equity is like a line of credit. You take out as much as you need when you need it up to a maximum amount and aren’t charged interest on the amount you don’t use. Schedule an appointment with an expert loan officer today. If you own your own home, even if you still have a mortgage, you likely qualify for a home equity loan – which you can use for anything. If your child wants a sustainable career in today’s job market, she’s going to have to go to college. Unfortunately, as higher education becomes increasingly vital to long-term success, tuition rates continue to skyrocket. That being the case, it’s imperative that you start saving for your child’s higher education as soon as possible. Well into the 21st century certificates of deposit, commonly known as “CDs,” are helpful tools for saving money. When opening a convenient CollegeSure CD at College Savings Bank, you’ll be able to take advantage of a wide range of savings options. These variable CDs are meticulously indexed to college inflation rates as measured by the IC500. Scholarships can help ease the burden of paying for a college education. With this in mind, encourage your child to apply for any scholarships for which she may qualify. These include athletic and academic scholarships, as well as scholarships directed at minorities and certain ethnic groups. These days, even entry level positions require applicants to have a bachelor’s degree – at the absolute least. To ensure that you aren’t strapped for cash for when it comes time for your child to pursue higher education, remember to open a college-focused CD and encourage your child to apply for scholarships. It has been said that, although big business has deep pockets, the small businessperson is the backbone of the economy. Financing for entrepreneurs is easier to get and, thanks to Ecommerce, start-up costs are lower, according to Forbes. Getting a business up-and-running is only the beginning of a successful venture though, and some new businesses fail because their owners are much better at developing and managing product than they are at managing the office. Many businesspeople just don’t have the “people skills” necessary to deal with customers. Plus, businesspeople with both small and large enterprises suffer from the lack of the same resource: time. The greatest contribution a businessperson makes to his company is not his degree or his money. It is his creativity and passion. The chore of handling office duties restricts the time they can spend on dreaming and building their dreams. That is why so many of them are turning to call center services. Though they are practical for any sized company, these services are especially liberating for small business owners who must be everything from receptionist to salesperson and troubleshooter. What do these “services” entail? Well, at SolidCactus there are a range of jobs that the call center can handle. For one thing, they can deal with declined credit cards. This is an issue that can be hard to resolve, and is certainly time consuming. The call centers can also contact drop shippers and manufacturers, check incoming mail, manage incoming calls and call backs and even check voice mail. They also are adept at dealing with customers. They can capture sales when customers call the business, and answer questions about the products. At SolidCactus, the staff receives consistent and continuing training to make sure they have the latest information to give customers. Using call centers is like having an entire office staff. They act as an answering service because businesses can’t afford to miss even after-hours calls, and as a phone receptionist. The first impression customers have of the business is the person who answers their call. If that person is abrupt and dismissing, the negative customer experience may drive them to a competitor. Customers do not like rudeness, nor to be put on-hold. The call service employee can relay messages and screen calls, answer questions and give price quotes, just as a permanent office manager would do. Customers cannot see an office, they only hear a “staff.” SolidCactus even manages live chats with customers. Not all businesses need every service. Entrepreneurs need to budget wisely, and even large companies have overheads. That is why the innovative line of services offered by SolidCactus is so empowering. It allows business owners to pick and choose from the buffet of services to customize their virtual offices. Some companies will not need a live chat, for instance. Still, it is great to know that the services they chose will be up-and-running twenty-four-seven and working for them to build their dreams.